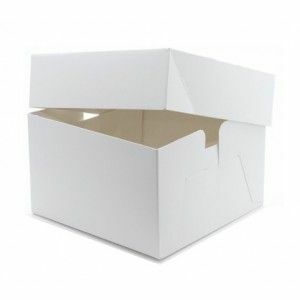 These White Cake Boxes are our standard boxes to hold wedding cakes and birthday cakes. They are 6 inch in depth, with a staple-less construction for both the lid and the base. They are a very high quality box, at a very good price, can be used to transport cakes over long distances if required.